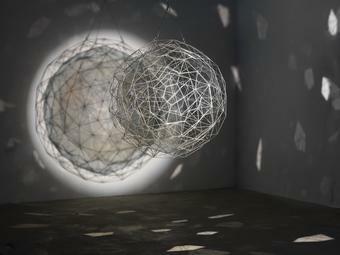 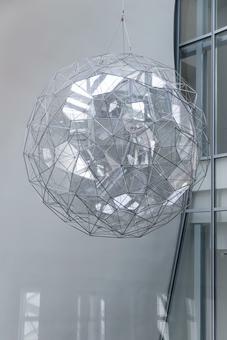 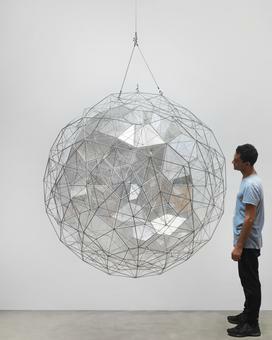 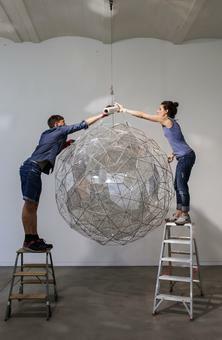 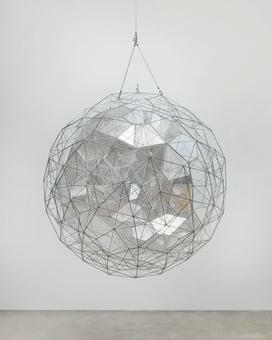 This hanging sculpture combines two irregular polyhedra, embedding one within the other to form a single spheroid made of partially reflective, translucent filter glass and thin stainless steel struts. 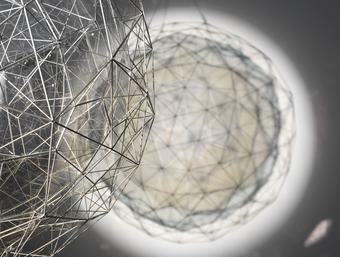 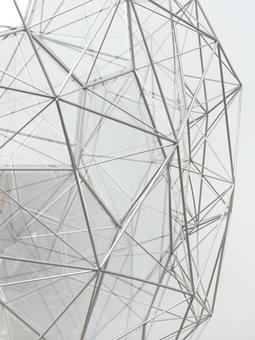 The vertices of the outer polyhedron, which is indicated as a steel framework, correspond to the centres of the glass pentagonal faces of the inner form. 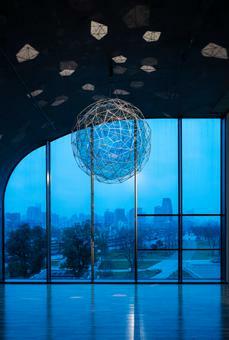 Depending on the lighting conditions and the position of the viewer, the artwork changes appearance as the panes of partially reflective filter glass catch the light and reflect the surroundings.